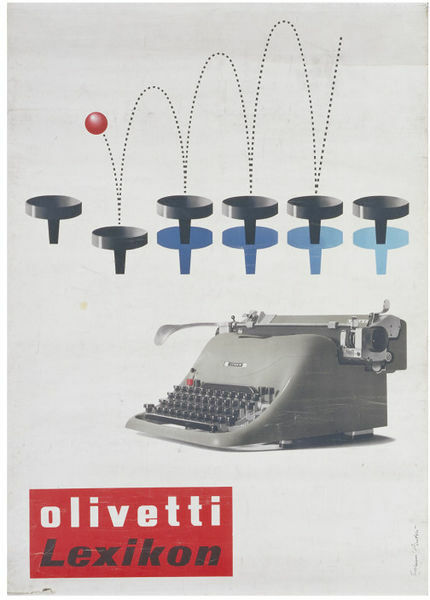 This is a poster for the Olivetti Typewriter Company. 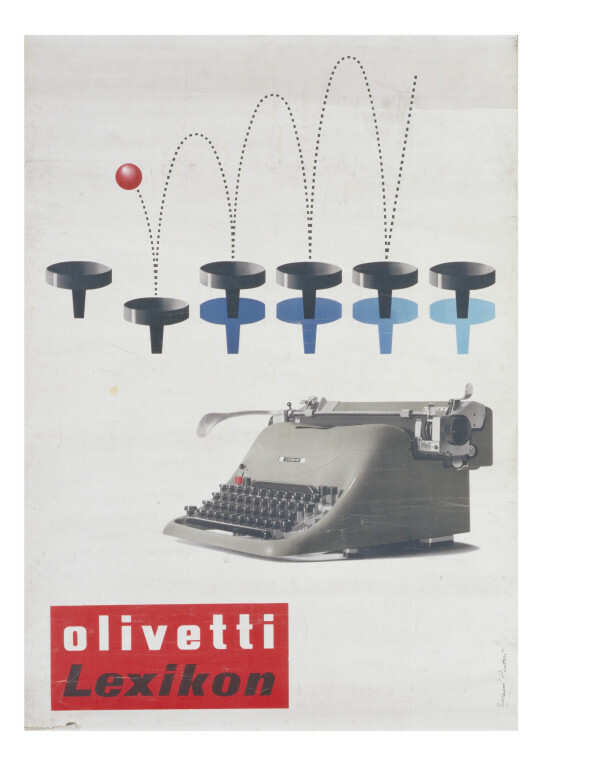 From 1931 Olivetti had an advertising and development office that encouraged painters, graphic designers and architects to experiment in design. In the 1940s and 1950s the painter Giovanni Pintori designed some remarkable posters for the firm. Olivetti’s policy also involved commissioning modern architecture and publishing arts and social science publications. All these activities gave Olivetti worldwide recognition and prestige. 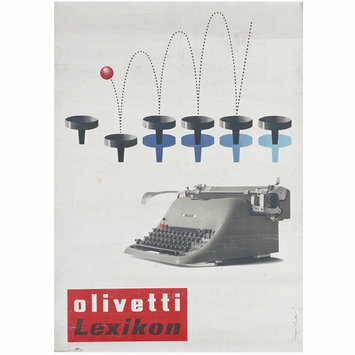 Poster by Giovanni Pintori issued by Olivetti Typewriters. Italy, 1953. Crowley, David and Jane Pavitt, Cold War Modern: Design 1945-1970, London: V&A Publishing, 2008.